Well, I'm off to enjoy a little summer vacation, so short of my normal Friday Golden Blossom Honey posts, there won't be any new content here or on my social feeds until the end of the month. I don't want to leave you empty handed, so I thought I'd give you a little something to hold you over until I am back into the swing of things. To my blogger friends, I won't have internet access until I return, so I'll catch up with you all as soon as I am home. 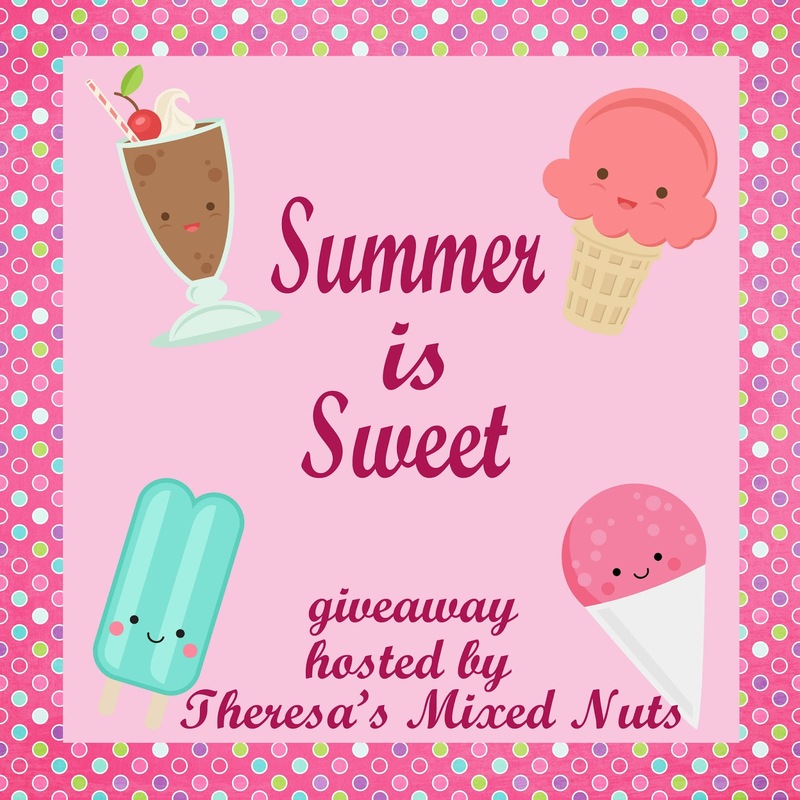 To my lovely readers, be sure to come back daily and get your entries in for this Summer Is Sweet $20 Amazon Gift Card Giveaway! The giveaway is open worldwide and will end on 7/31. The winner will have 24 hours to respond to the winning email before a new winner is selected. Please enter on the giveaway widget below. pffft the July will be sad without your presence :( Have tons of fun, don't forget what you promised me about photos :) and avoid protesters and terrorists and dress posh because you're in Europe and we're stylish :) And I shall water the plants for you... I probably won't feed the dogs and cats, though.... they can fend for themselves. Enjoy traveling about at your sea. Sure you'll have lots of pics for posts when you return. I like anything sweet. I've been in a poke cake mood. I've made 2 this summer. Way more than I ever have. It gives the boys something to snack on throughout the week. Have a wonderful vacation and take lot's of photos to share. My favorite summertime dessert is home made ice cream! I love fruit pies or cheesecake. My favorite Summertime dessert on a hot sunny day is lemon slush with raspberries. In the summer my most loved dessert is homemade raspberry ice cream, but I love anything with raspberries. My favorite is frozen yogurt. I always want something cold. My favorite summertime dessert is homemade ice cream. I love cold desserts in the summer with fruit, ice cream, anything lemon. I like ice cream sundaes for dessert in the summer. My favorite summer time dessert is ice cream. My favorite summertime desert is peach cobbler made with fresh peaches. I love whipped jello as a summertime dessert. It's light, cool, and refreshing. Mine has always been strawberries mixed with whip cream on pound cake. Always love those fruity popsicles! and watermelon as well, Theresa.. Can't get enough of them! My favorite summertime dessert is a snowball in the flavor Pink Lady or Wedding Cake. My favorite summertime dessert is ice cream. Thanks for the giveaway! I really love eating ice cream with my family. Your blog is the best, thank you! My favorite Summer dessert is a SnoCone from a shop down the street from my house! My favorite summertime dessert is an ice cream bar. Chocolate peanut butter ice cream is my favorite summertime dessert. Mango sorbet is good too! My favorite summer time dessert is Blue Bell Cookies N Cream ice cream. My favorite summer time dessert is strawberry cheesecake or shortcake . Summer or all year round it's Strawberry Shortcake!!! My favorite summertime dessert is ice cream. It would be snow cones. My favorite summertime dessert would have to be strawberry cheesecake! My favorite summertime dessert is key lime pie! My favorite summertime dessert is Snicker Salad. It has Snickers, whipped cream, cream cheese, caramel, and apples in it. Thanks. I baked a chocolate zucchini cake last night with zucchini from the garden. It's one of our favorite ways to use zucchini. I really like fresh fruit like huckleberries in a milkshake. I love cherry Italian ice in the summertime! My favorite summertime dessert is red velvet cake with ice cream on the side! My favorite summertime dessert is a hot fudge sundae. My favorite summer time dessert is mint chocolate chip ice cream. My favorite summer time dessert is any of the fresh fruits that are available this time of year. Berries, melons, a good fruit salad is just heavenly. My favorite summertime dessert is pound cake with whipped cream and strawberries. I love fruit tarts and strawberry shortcakes. My favorite summer dessert is watermelon. I not only enjoy it as dessert, I also eat it for breakfast. I love ice cream. We had this ice cream van come to our local town and he made these amazing ice creams with different chocolate bars mixed in. They were so big but so nice! I like frozen fruit with coconut milk and chia seeds smoothies. My favorite summer dessert would be strawberry shortcake. In the summer I love some ice cold ice cream on these hot blistering days! Thanks for the chance to win, keep up the great site. My favorite dessert is cheesecake with strawberry jelly. My favorite summertime dessert is strawberry pie. My favorite summertime dessert would have to be strawberry shortcake. I have many favorite summertime desserts. Strawberry Shortcake and homemade ice cream top the list. My mouth is watering for strawberry shortcake! I was supposed to get the stuff to make it for a few weeks now. Thanks for the reminder! My favorite summertime dessert is strawberry shortcake. For summertime my favorite is lime sherbert. Ice cream the rest of the year. I love that Ice Cream, especially the chocolate flavors.